What Causes Migraines and Can Anything Help the Pain? 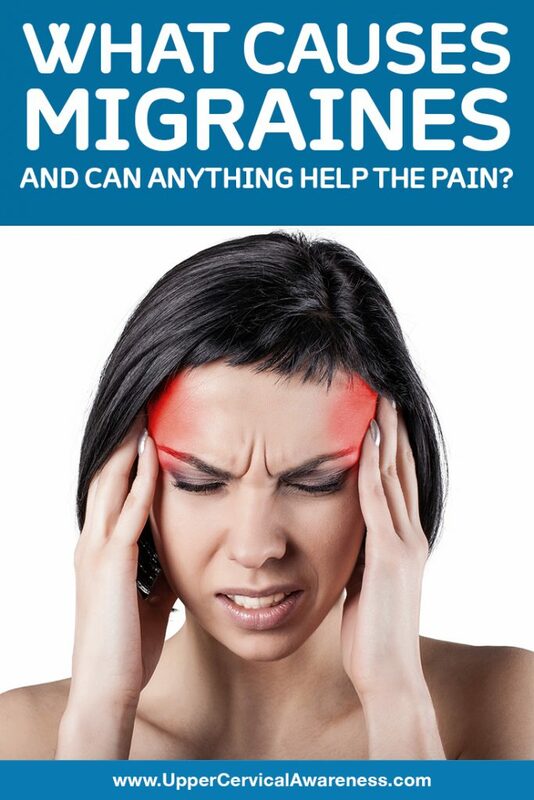 Home/Migraines / Headaches/What Causes Migraines and Can Anything Help the Pain? Migraines are seen three times more often in women than in men. They can be so debilitating they hinder you from completing your routine tasks. Besides the throbbing head pain mentioned above, you may notice pain radiating toward the eyes, temple, or forehead. Nausea, vomiting, visual disturbances, sensitivity to light, sound, or odors, and dizziness or vertigo may also be present. Migraines referred to as “classic” begin with an aura. This may be visual changes in your field of vision (dots, blurriness, wavy lines, or loss of vision) approximately an hour or less before the head pain begins. About 20 percent of people with migraines have this classic type. Flashing, bright lights: Faulty fluorescent lights, a flickering screen on a TV or computer, or sunlight being bounced off of waves in a lake can be to blame for triggering migraines. Stress and anxiety: We know it’s impossible for you to live a stress-free life, but being aware that stress is a trigger for migraines can help you to think through stressful situations and how to improve them. You may be able to employ relaxation methods or breathing exercises to help you de-stress. There are also biofeedback techniques which can help you. Another thing to be aware of is a let-down migraine. This is the period after the stressful event. It can even include weekends where you don’t have to worry about going to work. Migraines often occur at these times. Missing meals or sleep. It is important for those with migraines to try to keep their schedule as routine as possible. Regularly making time for meals and sleep can go a long way in fighting off migraines. Keeping well hydrated is another good idea. Also, be aware of food binges. This can trigger migraines. Changes in hormones. Menstrual migraines occur around the time of a woman’s menstrual cycle. The hormones in the body at this time are increased and decreased in irregular patterns. Some women benefit from hormone therapy, while others find this increases their migraines or does not help at all. Certain foods. Studies have not proven food to be a trigger for migraines, but migraine sufferers beg to differ. Some ingredients to avoid are MSG, aspartame, aged cheeses, soy sauce, chocolate, red wine, and processed meats. Caffeine? Caffeine is tricky. In some people, it helps alleviate migraines. In others, it triggers them. Too much or too little caffeine can be to blame, too. Therefore, it is something each individual will have to experiment with. When looking at what brings on migraines, one area is often overlooked. However, the Blair Upper Cervical Group has discovered trauma to the head or neck can lead to migraines and other serious health problems, including vertigo. An upright MRI revealed further information in this regard. For example, a 54-year-old female patient was having 1 to 2 migraines per week. She also suffered from vertigo and had chronic pain in her neck area that bothered her for 10 years. Her patient history revealed she had been in a car accident. She sought the care of an upper cervical chiropractor, and over a period of 12 weeks, she had 3 adjustments to her upper neck vertebrae. After her initial adjustment, she only had one migraine occur two weeks later. She never had another migraine, vertigo, or incident of pain in her neck occur again. The MRI and its companion, the upright MRI, was invented by Dr. Raymond Damadian. The upright MRI was instrumental in showing how a misaligned bone in the top of the neck, particularly the C1 or C2 vertebra, can hinder the flow of blood and cerebrospinal fluid reaching and exiting the brain. Cerebrospinal fluid is responsible for lubricating the spinal cord and brain and keeping things in this area of the body moving as they should. If the fluid is disrupted, problems will ensue. The upper cervical spine is a very vital part of the body. If it becomes misaligned, intracranial pressure can become severe if cerebrospinal fluid backs up. By correcting the misalignment present, the pressure in the brain can be reduced by as much as 28 percent. Upper cervical chiropractors are specially trained to realign these bones without the use of force. We do not have to pop or crack the neck to get results. Patients often report results similar to those of the woman mentioned previously. Some patients see their migraines go away and not return. UCM Social Media Team2019-04-16T16:26:56+00:00July 8th, 2018|Migraines / Headaches|Comments Off on What Causes Migraines and Can Anything Help the Pain?